I’ve posted before about TFL’s crazy plan to put two huge illuminated adverts on the Sun-in-the-Sands roundabout – see here. The advertising panels, 3 metres high and 12 metres wide, would go on the bridges facing north and south with different images flashing up six times a minute. They would distract drivers on the A2/A102 motorway, and be a nuisance for neighbours, as these mocked-up images show. Greenwich Council thankfully refused TFL’s planning application in May 2013, because of the impact the signs would have on the adjacent Blackheath conservation area, as well as road safety concerns. But TFL are not taking no for an answer and are determined to get advertising revenue from the site. In August TFL lodged an appeal against the refusal, arguing that “the proposals will improve the tired condition of the underpass and will signify investment into the area.” That’s right – TFL thinks this part of Blackheath is so economically deprived that it must have advertising hoardings to show it’s open for business. TFL’s “Grounds for Appeal” document says a lot about TFL’s priorities, and why they are no insistent on putting advertising boards up. The document reveals that in 2011, TFL appointed Wildstone, the UK’s largest outdoor advertising consultancy, to find outdoor advertising sites on the Transport for London Road Network (TLRN for short) to “generate an income for re-investment in public transport and highways infrastructure in London”. The identified sites will become “prime digital assets that are attractive to leading brands… maximise value, and will fit seamlessly into the built environment”. TFL also claim that the advertising will be a “considerable distance from viewable residential areas”. In fact the nearest homes are less than 20 metres away. 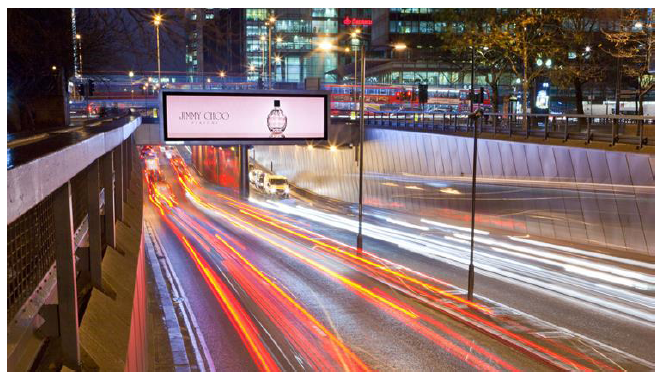 It turns out the only other place in London where such advertising has already been put up are the Euston Road underpass, shown here, which won planning consent in 2011. They now propose such signs should also go up at Sun-in-the-Sands and the Wick Lane underpass on the A102 near the Olympic Stadium, shown below. Putting huge overhead advertising signs on a busy road in central London where there are no homes nearby, and traffic will often be at a standstill, is one thing. Putting them up on motorway-type roads in east London overlooked by homes, and where fast-moving drivers will be distracted, is quite another. I think Blackheath deserves better than being a guinea-pig for TFL’s money-making scheme, which could be downright dangerous as well as unsightly. The appeal hearing is being held at Woolwich Town Hall at 10am on Tuesday January 7th 2014. Anyone wanting to comment TFL’s plans is welcome to attend. Not far from the Sun-in-the-Sands, residents of Siebert Road and Westcombe Hill, whose gardens back directly onto the motorway, have been asking TFL for years to put up a proper fence to shield their homes from noise, dust and pollution. 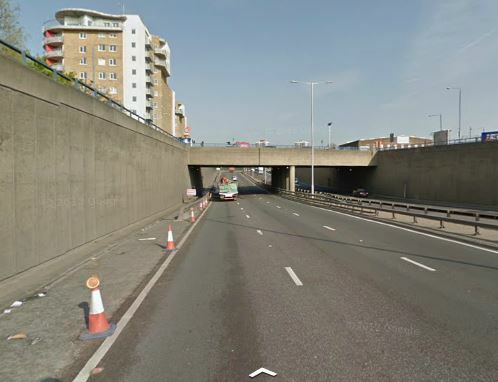 TFL have always refused to do so, but in response to a question from Labour GLA Member Len Duvall, Boris Johnson has now promised a “feasibility study to understand the benefits and drawbacks of replacing or retrofitting parapets on flyovers with noise barriers”, which should be concluded by summer 2014. Len and I are asking that this includes the bit of the A102 that passes Siebert Road, which is not technically a flyover, and hope that TFL’s words can be translated into action soon: all residents are asking for is a robust fence. 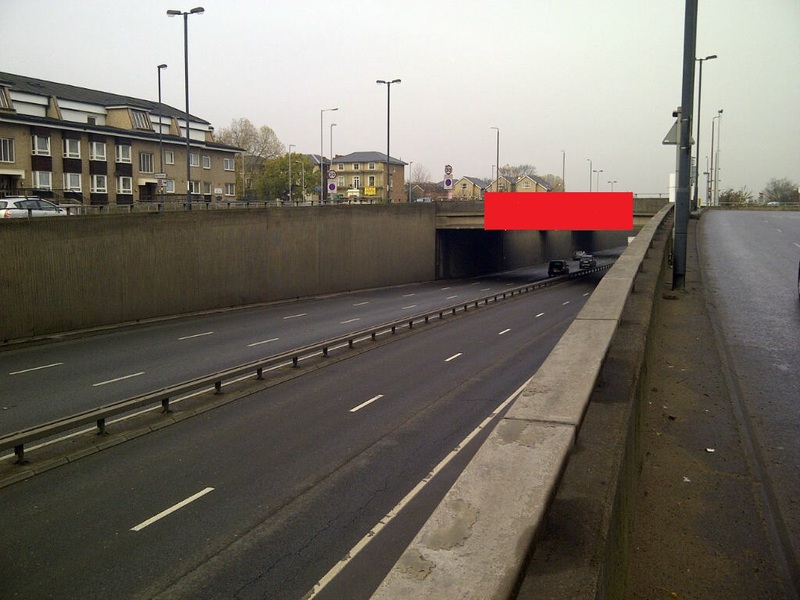 If TFL’s plan for a further tunnel under the Thames from the Peninsula to Newham (the Silvertown Link) ever comes to fruition, there will be even more traffic on the A2/A102, so advertisers can be charged more – but there will also be even more pollution. 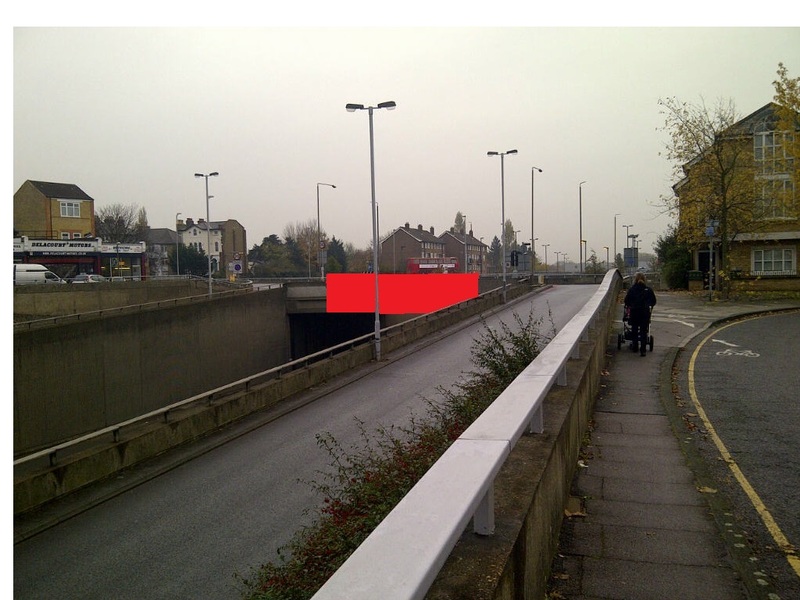 In the meantime it is a pity that TFL is more interested in putting advertising screens on its bridges and flyovers rather than fences to improve the quality of residents’ lives.